The European Commission has opened a consultation on targets included in three waste and recycling directives, and on the setting of new ones. The consultation is part of the Targets Review Project, which aims to assess the adequacy of the targets included in the Waste Framework Directive, the Landfill Directive and the Packaging and Packaging Waste Directive and at considering the introduction of targets for waste prevention and reuse. The Commission acknowledged that targets such as recycling or reusing 50% of municipal and household and 70% of construction and demolition waste by 2020 have already had a positive impact on member states’ waste management practices. But it said “rising prices of raw materials have added an important economic imperative to improving waste management to the environmental one”. The EC also stated that additional measures in terms of waste prevention, increasing recycling and reuse rate, limiting incineration, and phasing out landfill are required to develop a resource efficient and circular economy. 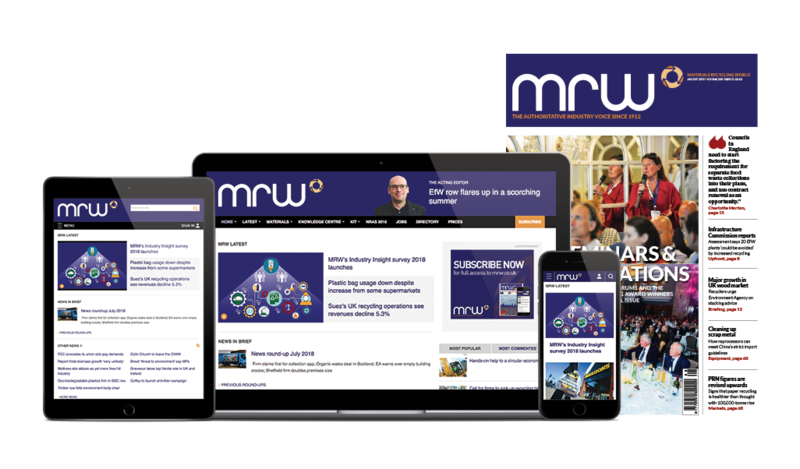 The consultation responds to a legal requirement of reviewing the targets, as mandated in the directives, a spokesperson for Eunomia told MRW. Eunomia, in collaboration with the Öko-Institut, the Copenhagen Resource Institute, ARGUS, and Satsuma Media was contracted by the Commission to draft the consultation and analyse the results, he said. Contributions will be published on the official website of the project and on the EU interactive portal Your Voice in Europe. The consultation opened on June 4 and will end on 10 September. A report will be produced by the end of 2014.